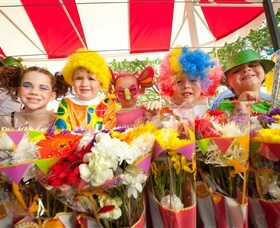 PREPARE your petals, ready your ears and cleanse your palates … it's Toowoomba Carnival of Flowers time! From September 18 to 27, the colour, sounds, flavours, laughs and adventures of the 2015 Toowoomba Carnival will hit full bloom in a stunning 10-day celebration! There'll be breathtaking moments, flavour-filled bites, surprising adventures, inspired sights, a star-studded lineup, sounds that ignite, catwalk colour and delicious nights. And the perfect canvas for this most delicious, funniest, fashionable, floweriest Carnival ever? The thousands of blooming flowers that every Spring carpet the city that sits atop the range high above Brisbane, the result of months of loving care by gardeners and volunteers, a love handed down over 66 colourful years. Meanwhile, The Chronicle is offering an exclusive sign-up deal to Toowoomba Carnival of Flowers customers: When you take one of The Chronicle Unlimited's subscription packages, you can also choose an extra gift - either a three-month magazine subscription to Australian House and Garden or a $20 Bunnings voucher. That's on top of the incredible value offered by The Chronicle Unlimited, in which you get unrestricted digital access to The Courier-Mail+ on desktop, mobile and tablet, plus unreal extras such live access to Fox Sports and rewards packages. Come and see us at the Toowoomba Carnival of Flowers at the Pop Up Visitor Information Centre (cnr of Margaret and Lindsay St or Queens Park) on Saturday September 19 or Sunday September 20 to access this exclusive offer. 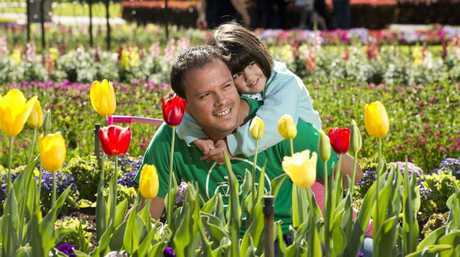 With a theme of Eat, Laugh, Play, Stay, the Toowoomba Carnival of Flowers has defied drought and flood to grow bigger, brighter and more colourful each year, attracting tourists from Queensland, interstate and internationally. It is the longest-running floral event of its kind in Australia and is rightly no longer just famous as the premiere celebration of flowers, but a cultural event for food, fashion, wine, culture, entertainment and all things spring. The just unveiled program features more than 50 unique events and experiences of international headline names, spectacular gardens, colours of the rainbow, tastes of the region, food and wine events, high fashion, intriguing adventures and a marquee musical line-up. 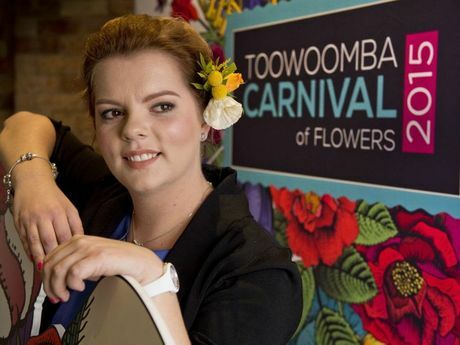 Are you looking forward to the 2015 Toowoomba Carnival of Flowers? This poll ended on 31 October 2015. Bringing serious floral kudos to the 2015 Carnival is Chelsea Flower Show award winner, gardening guru and Selling Houses Australia presenter Charlie Albone and four-time Australian Interflora Florist of the year Bart Hassam. Several celebrity chefs will also be hitting the stage, including Monica Topliss and Fast Ed from Better Homes and Gardens. 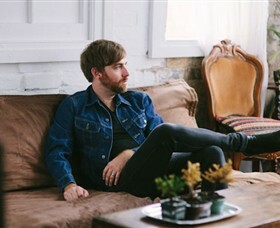 Musically, the program is almost as stunning as the blooms - ARIA Award-winning folk rockers, The Audreys, join an all-star list that features national and internationally acclaimed acts like The Beautiful Girls, Taxiride and Josh Pyke, who will be combining his crooning talents with the Toowoomba Concert Orchestra. For the kids, Hoot and Hootabelle will be coming to town for a very special performance! Families, creative types, music fans, food lovers, flower fans, fashionistas, wine connoisseurs and beer drinkers alike will all find something on the program to excite, whether for a day or a week-long Spring break. 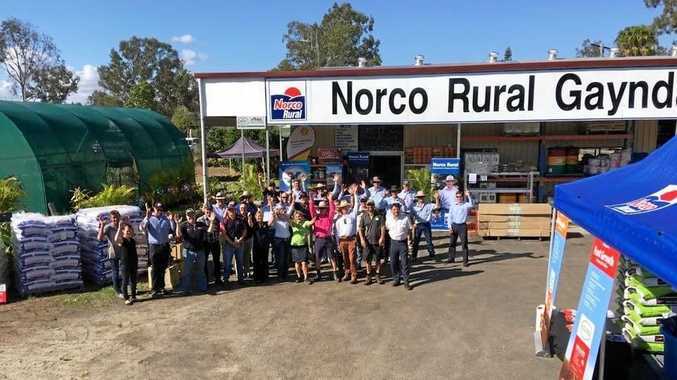 There's the best produce in the region at the Ergon Energy Flower, Food and Wine Festival, and the iconic Floral Parade which winds through the city and of course, the splendour of the September garden tours. Four private exhibition gardens have been selected for tours in 2015, each an exercise in dedication and a multi-sensory experience for guests. 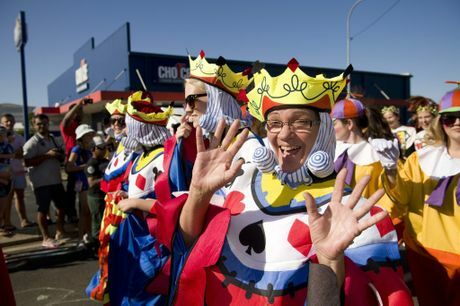 The brainchild of Essex Tait and the Toowoomba Chamber of Commerce, Carnival was introduced as a way for the city to use their Garden City reputation to promote increased economic activity following the recent hardships of war. On October 21, 1950 the Toowoomba Carnival of Flowers started with a street procession that stretched three miles in length. Led by a bullock team and watched by a crowd estimated to be 50,000 strong, the parade was a resounding success. 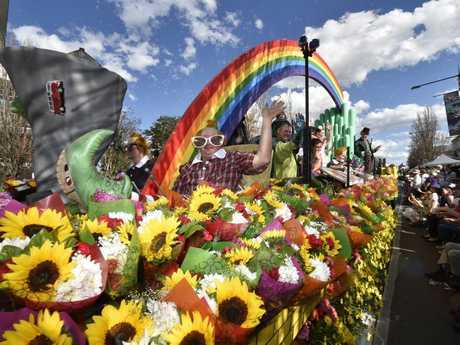 The Toowoomba Carnival of Flowers subsequently became firmly cemented as an annual event in the region's community calendar. Last year the Toowoomba Carnival of Flowers won Best Festival and Event at the annual Australian Tourism Awards. A title a long time coming! 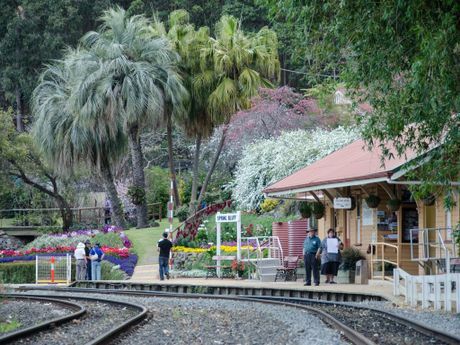 Details of all organised garden tours, including the hop-on, hop-off bus and the morning and afternoon guided tours are available and can be booked online at www.tcof.com.au or by calling Stonestreet's Coaches on 4687 5555. Ticket details for the Ergon Energy Flower, Food and Wine Festival, including the Heritage Bank Live Concert Series, can be viewed at www.tcof.com.au. Tickets will be on sale from Friday, July 31. 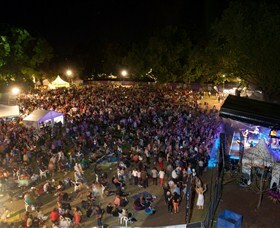 Accommodation packages will be available at www.tcof.com.au soon. Queens Park will be a (garden) bed of activity for the Ergon Energy Flower, Food and Wine Festival (from Friday, September 18-20), which also features the Heritage Bank Live Concert Series. Free fun and entertainment is on offer over the same three days to the west at Sideshow Alley in Frog's Hollow, Queens Park. Visitors to the Ergon Energy Flower, Food and Wine Festival will be able to savour the delicious regional fare on display at the Farm to Plate space with daily tastings. Guest chef Fast Ed from Better Homes and Gardens and leading gluten-free, whole food chef Monica Topliss will present cooking demonstrations over the three days. Master floral designer Bart Hassam will create beauty through plant material as an inspiration piece for the Interflora Floral Design Competition, which this year will be holding masterchef inspired Pressure and Invention tests. The fresh flower market and popular Ready, Steady Snip floral design competition, with a twist involving Fast Ed, will also return. Landscape designer and Chelsea Flower Show winner Selling Houses Australia presenter Charlie Albone will conduct three different demonstrations each day and answer questions about the latest innovations in gardening in The Garden Space. Children's activities include entertainment from the Trash Test Dummies and a dedicated children's program full of encouragement to design, build, discover, dig, cook and create! The festival will see pop-up fashion parades for the Culture to Couture competition, Handmade in Country markets, wine and beer appreciation sessions and a ring of international food stalls and 20 boutique wineries. Queens Park will provide the setting for a four course Gala Dinner under the stars with Mayor, Cr Paul Antonio and Fast Ed on Thursday, September 17. Tickets are $150pp. On the night of Friday, September 25, The Bites & Brews Lane will transform Kwong Sang Walk on Ruthven Street into a twilight wonderworld full of hand made goods, food vans and craft beer. Food and wine tours will explore the region, with a Paddock-to-Plate Tour of local growers. The Spring Fling, an evening of music from three groovy acts, will be taking place at a secret venue. The Chronicle Garden Competition offers visitors the opportunity to visit the beautiful gardens that have been entered into the competition, with the help of a souvenir guide and map from the Visitor Information Centre. Nathaniel Willemse (X Factor competitor) headlines in Sideshow Alley from 3.30pm on Sunday, September 20. Family fireworks shows around lower Queens Park start from 8.30pm on September 18 and 19 (with a laser light show) and from 7.30pm on Sunday, September 20. The Grand Central Floral Parade will wind its way through Toowoomba's heart to Queens Park from 3pm on Saturday, September 19. The theme for the 2015 parade is 'A Storybook of Colour' and it will be led by animatronic jungle animals! Queens Park will host belly dancing workshops, Divas in the Park and a Jazz Quartet while Laurel Bank Park will hold the popular Twilight Tours (September 21-23), yoga demonstrations and a Tribute to Disney Music Theatre. The free Kids' Day Out will give Carnival's youngest patrons the run of Upper Queens Park from 9am to noon on Sunday, September 27. ABC characters Giggle & Hoot will perform live shows at 9am and 12 noon with a meet and greet at 10.30am.